A typical Wyvern Rising event begins Friday evening and continues uninterrupted until Sunday. The camp facilities usually include cabins (non-heated) and bathrooms and showers with hot water. 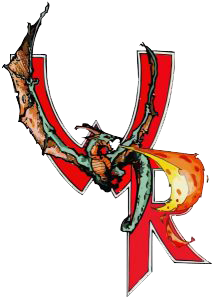 All persons attending an event must be registered members of The Wyvern Group, and have paid the applicable camp fees. Players are encouraged to arrive early to select a cabin and settle in. Registration at the Logistics cabin could take up to thirty minutes depending on the number of players arriving. At registration players will receive their character cards and appropriate skill tags. All vehicles must be removed to the parking area prior to the start of the game. The game directors will announce “Game On” to begin play. Game play continues day and night through Sunday. All players must check out at logistics before leaving. At checkout, players turn in character cards and other miscellaneous materials. Game play will only be halted due to a serious emergency. All players will be in game for the entire duration of the event. A player should only go out-of-game (OOG) if injured, ill, or instructed to do so by a game director. Any injuries or illnesses should be reported to Logistics immediately. Otherwise, players are subject to game events and effects, even when sleeping. Persons who are out of game must wear white headbands to make this known to other players. This is simply a strip of white cloth tied around the head. Persons who are OOG may not interact with in game characters or items. If you see someone wearing a white headband you must ignore that person and act as though they were not there. The only exception to this rule is in the case of a “dead” character that is seeking a cleric for resurrection. When your character dies you must don a bright orange headband because you are now a spirit and therefore OOG. Clerics may react to these spirits according to the rules for Dying, Death, and Resurrection. The event weekend is divided into two periods. Period 1 begins at Game On and ends at 3:00pm on Saturday. Period 2 begins at 3:00 pm Saturday and continues until game end on Sunday. When a new period begins, your ENDurance, DEXterity, and PREsence energies are renewed. In addition, spells and prayers are renewed according to the rules for spells and prayers. Throughout the event we try to maintain the illusion of a medieval/fantasy world. Therefore, to the best of our ability, modern items are discarded in favour of a medieval substitute. Costuming should reflect this environment. Lighting is managed by torches, candles, and lanterns. Flashlights are allowed only if the lens is appropriately covered with a red or amber gel to simulate torchlight. Players are advised not to carry soda cans or other products with obviously modern wrappers. The game directors and staff will portray non-player characters (NPC’s), including monsters and miscellaneous townsfolk, for player characters (PC’s) to interact with. Each event will have several plots or story lines in which characters may participate. It is up to each player whether they want to become deeply involved in a given plot, or just live a ‘normal’ life like the other common citizens. Points are awarded for good role-playing and cabin decoration. These role-playing points (RP) may later be converted for additional character Build points.